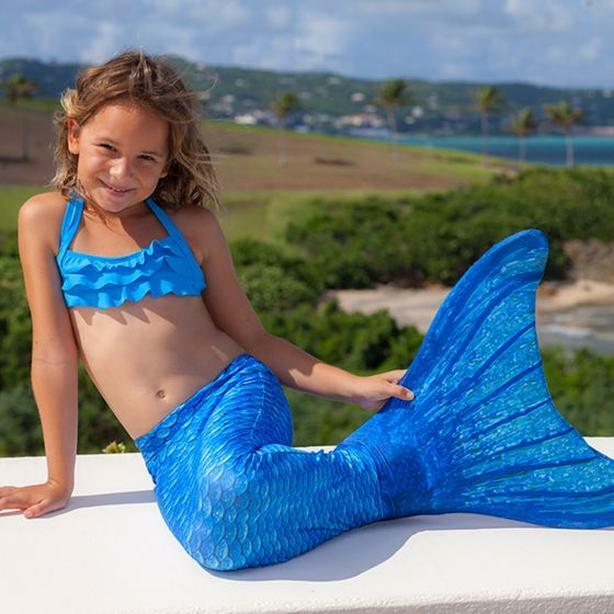 How could any girl resist being a mermaid at the pool or lake? This is a FinFun artic blue mermaiden swimmable mermaid tail skin. Included is the FinFun Junior swim monofin. Both in excellent condition. The monofin fits inside the mermaid tail skin to provide structure and to act as a flipper. Fits comfortably and works great! Paid more than $150, plus more for shipping.